Well here it is April already. Taxes are usually the topic on everyone’s mind — everyone hates to pay taxes, however I have always said that what we really hate is what we are left with after taxes. You’ve heard that "it’s not what you gross – it’s what you net"! That’s the real issue. How can you get more "bang for the buck" so to speak — and make enough money to offset the bite from the IRS? In our LIFE community, there are two ways to accomplish this goal. First, you can set up your practice in such a way as to make use of the existing "tax loopholes" that are legally in place to allow businesses like yours to prosper. At the same time you can utilize tax "write offs" like office expenses, etc. While I am not a CPA or tax consultant (and I strongly urge you to have a CPA advise you on the legalities that can be pursued this 2006-2007 year), I can tell you that the best way to make money and keep most of it, is to hire a professional accountant to meet with you monthly. Secondly, you ought to consider selling the L.I.F.E. System. Whenever I say this to practitioners, I notice that a small percentage, maybe 8 % are interested in the possibility of sales. The other 92% have "every excuse" you can imagine. Most just believe that they cannot sell or do not want to sell. For many, the concept of selling brings on all kinds of "rejection" issues. And yet, all of us put ourselves in some sort of "rejection" situation on a regular basis. Every time you "ask" for something from anyone — whether it is a family member (and believe me families are the worst), a friend, or perhaps a stranger — you are setting the stage for rejection. So what is it that makes sales such a strong negative in may minds? It could be remembering the first sales experience (for females – it is usually selling Girl Scout cookies, for males – paper routes, and for both sexes: school fund raisers). What happened? Well, as usual, no matter how successful we are — we tend to only remember the "BAD" experience. At least that is how it is for the 92% who shy away from sales. So let’s investigate the negative. Yesterday I heard a "weather person" say this — and it caught me by surprise! "30% chance of rain — or for you gamblers out there, 70% chance of sunshine." Wow, what a way to get me thinking positively! In fact, that’s what sales is like — although the percentages may be a little different. Let’s look at the way it works. In baseball a "hall of fame" batting average is usually around 300! That’s 300 hits in 1,000 at bats (positively speaking) or 700 misses in 1,000 at bats (negatively speaking). Really we’re looking at a 3 in 10 success rate. What about sales? What can you expect? How about a 1 in 20 ratio? You contact 20 people and 1 is interested. That’s your "interested" or what we call "prospect" base. You collect the "prospects" for a while and you keep in contact with them. Perhaps you send them literature every month, you call (don’t harass) them, you bond with them. All you want to do is be a part of their L.I.F.E. experience. Before you know it, your "prospect" base is starting to "boil" with interest. 3 in 10 begin to buy a L.I.F.E. System and all you did was tell them your experience with one of the most incredible devices in the world. You add a substantial number to your existing monthly income and you can really increase your practice by having the money to advertise more. Like any business, the more visible you are, the more clients you’ll have. And of course the more people will want to know about your fantastic device. Next April (2007) you’ll be paying less to the IRS and you will be happy because you kept more. OK, I hope that this (rather lengthy) motivational article is helpful. As always you can ask me questions by writing to me: bruceholms@quantum-life.com. Now to see all of my advice in action, I ask you to read what this month’s "Bruce’s Pick" has accomplished. 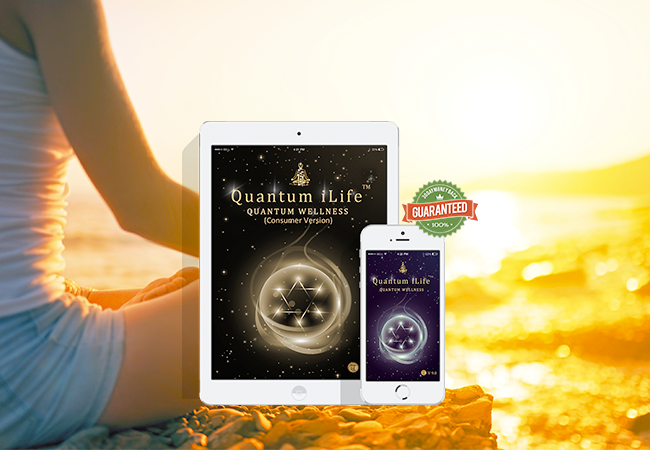 On the 25th and 26th of March, the Quantum Life team of San Diego, Michael and April Dangerfield of Subtle Energy LLC and Romel Hokanson of Waves of LIFE, presented the L.I.F.E. System at the Body, Mind and Spirit Expo in San Diego. There were over 80 exhibitors, 60 lecturers and over 1200 people attended. Michael represented Quantum Life with a lecture, “Short History of Energy”. Michael explained the theory of energy systems incorporated into the L.I.F.E. System. The lecture was extremely well received by all who attended. April and Romel offered demonstrations. Both April and Romel were so busy, they hardly had time to eat! The highlight of the expo for Quantum Life was an interview by Morgan Spurlock, creator and star of the award-winning documentary “Super Size Me” and “30 Days”, a six-part television sequel. He spent over 12 minutes interviewing Michael and April and showed great interest in the L.I.F.E. System. The L.I.F.E. System may be featured in his upcoming TV series “30 Days” which will have the theme of alternative health. The interest in the L.I.F.E System was evident as to the number of people who stopped by the booth. It was also obvious that the L.I.F.E. System was the most advanced program offered at the expo. And there it is, from motivation to activation. This is how you do it! Congrats to April, Michael, and Romel. I strongly urge all of you to look for an expo in your area. Contact me for help in setting it up! We’ll tell you what you need (accessories, banners, tri-folds, etc.) and make your activity a success. That’s it for April, I’ll look forward to your emails, Bruce.